The Klix® Momentum offers a wide range of coffees, teas, specialities, cold drinks and soups to meet the needs of every palate and price point. CHOICE with 16 hot and cold drink options. FAST 17 second vend time. Medium 7oz and Large 9oz cup sizes. Just pay for drinks free on loan machines2. Via our approved distributor partner network. 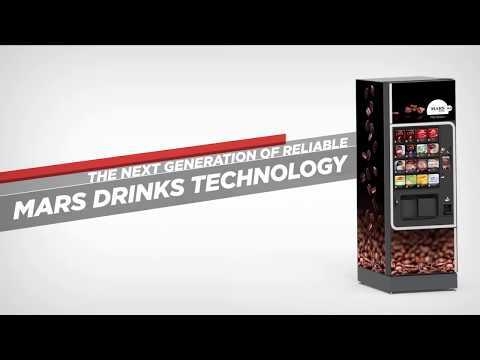 Fully managed service with Mars Drinks - we’ll stock and manage your machine for you. Self service - you manage the day to day running and stocking of your machine. Catering or Facilities Partner - we can work In conjunction to agree and manage drinks orders. Distributor Partners - they can directly manage and order drinks for you. Full service package - giving you rapid same day response, your own dedicated account manager and access to an annual machine service. 24 working hours technical response and with telephone account managers on hand to help. Mains drinking water supply with a 15mm OD x 3/4 BSP Male (WRAS approved or equivalent) isolation valve, no more than 1 metre from the machine; flexible hose supplied. A compact countertop machine design with up to 8 drinks selections. Stylish and reliable office coffee machine delivering over 25 hot drink options.